Shortly after arrival you or your child will have been triaged by a Registered Children’s Nurse or a Student Nurse under supervision. This is to assess any illness or injury as children and young people are seen in order of priority and not time of arrival. This ensures that those with the most life threatening problems are seen and treated first. The department is open 24 hours a day, 365 days a year. We are one of a small number of units throughout the UK who provide this level of service. We see approximately 28,000 children a year aged 0-17 years old with various illnesses and injuries. We are divided into two wings – Paediatric Accident and Emergency and Resus. Resus is a separate area where patients with life threatening problems are treated, and who may be called PRIORITIES. You may hear of these over the A&E tannoy system. When we have a “priority”, we are likely to have fewer nurses and doctors in the department as they will be helping with and treating the patient who has a life-threatening problem. You should be told by a nurse if this is happening as it may lead to a delay in the treatment of you or your child. To treat all of our patients to a high standard and to respect their privacy and dignity. 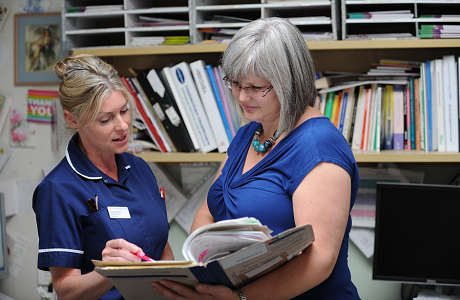 To ensure care given to children, young people and their families will be carried out by highly skilled staff. To meet targets set by the government relating to treatment received within the A&E department. During busy times, please do not obstruct the corridor or entrance to the Triage Room. Arrange for well siblings to be taken home. Please do not bring hot drinks without lids into the waiting area. Children are still the responsibility of the parent and/or carer whilst in the department. 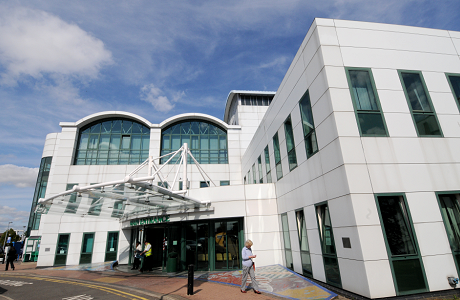 Patients arrive at A&E via different routes. Most patients will be seen by the Emergency Doctor. If you arrive by ambulance, your child, or yourself, will be assessed by a nurse and then placed in order of priority to be seen by the doctors. Arriving by ambulance does not mean that you will be seen any quicker than if you had come to A&E by any other mode of transport. If you have been referred to A&E by your GP/111 or from a Walk-In-Centre, you may be seen by a doctor from a different speciality. Whilst in the department, various investigations may need to be carried out to find the reason for you or your child’s illness or injury. These include common tests: urine samples; blood tests; X-rays; throat swabs and wound swabs. These will only be carried out if there is a good reason to do so. Please ask if you are unsure why we are doing any of these investigations. You or your child may need medicines, if you have not already given them to your child at home. This will make them more comfortable whilst they are waiting to be seen. If you feel that you or your child’s condition is worsening whilst you are waiting to be seen, please notify a member of staff so that you or your child can be reassessed. You should be able to locate adequate supplies of alcohol gel, tissues and vomit bowls in and around the waiting area. Not all injuries need X-Rays. It is important that children are not exposed to X-Rays unless they are really needed. A nurse or doctor will examine your child, or yourself, first and then decide whether an X-Ray is necessary. A Radiographer will call you in the department for an X-Ray if a request has been made from a doctor or nurse. There are vending machines located outside the doors to the Paediatric A&E department if you wish to purchase any food or drink. During the day, a shop and two restaurants are open where hot food can be purchased. Please check with the nursing staff that you or your child is allowed to eat and drink before purchasing anything. There is a barrier entry car park located next to A&E. The ticket machine accepts coins and notes to validate your parking ticket for exit. Verbal and physical abuse against staff will not be tolerated. Anyone who is threatening or abusive, or causes damage to Trust property, may be asked to leave by Security. 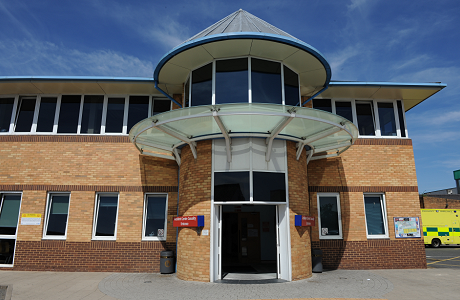 The A&E Department is designed for life threatening illnesses and injury. It should not be used as an alternative to your GP, 111 or the Out of Hours GP Service, should be used for any medical problems that would normally be dealt with by your GP for your child.